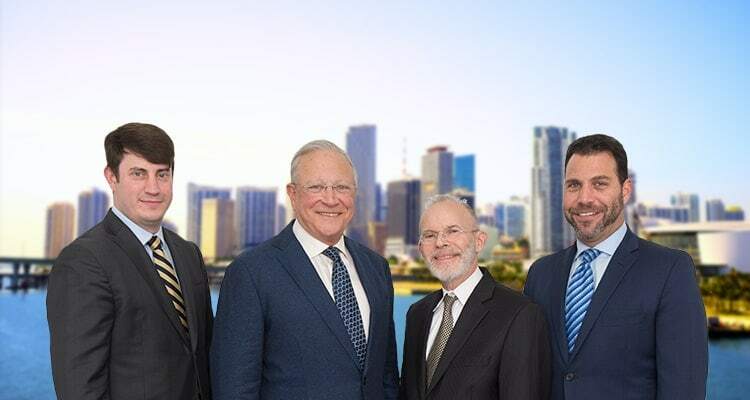 Frequently Asked Questions | Miami Injury Lawyers Gerson & Schwartz, P.A. Contact West Palm Beach, Florida Personal Injury Lawyer Gerson & Schwartz, P.A. Before hiring a lawyer the client should learn about the law firm's reputation and credentials. Ask questions about the lawyers education, training and experience. Find out if the lawyer has handled cases similar to yours. Make sure you understand how you will be expected to pay the law film's fees and costs. What would happen if your case is not won? Who will do the work on your case and what will be expected from you? I Have a Lawyer for my Business or Family Matters. Do I Need Another Kind of Lawyer for a Personal Injury or Wrongful Death Case? Your claims will be defended by specialists hired by the doctor, hospital, corporation, manufacturer, landowner or individual you sue. Even though lots of lawyers have some knowledge or experience in injury/death claims your rights can be enforced best by a law firm that concentrates in this area of the law. Don't settle for less. Injury and death cases are almost always handled on a contingent fee basis. This means the attorney's fees are paid at the very end of the case from the sums collected by settlement or by judgment entered by the court. The amount of the fee (a percentage of the recovery) should be discussed with the lawyer at the time of hiring. This method of compensating lawyers levels the playing field between injured people and richer defendants. People who could not afford to fight back against powerful wrongdoers can obtain quality legal representation without fear of financial ruin if the case is not won. Who Pays the Court Costs and Other Expenses Needed to Investigate and Prosecute my Case? Under the law the client is ultimately responsible for costs and expenses in addition to attorney's fees. Where the client cannot afford to pay these sums the lawyers advance them as the case progresses and they are collected back from the sums recovered. Will my Case be Handled by a Partner or a Junior Member of the Firm? Unlike many law firms Gerson & Schwartz P.A. is organized so that all of its lawyers work on all of its cases. Your case will be worked on by everyone in the firm with each member bringing their own expertise into the process. You will have access to the attorneys at Gerson & Schwartz P.A. to discuss your case. If I Telephone for Information What Will You Want to Know About my Case? Your identifying information, the date of your accident, where it happened, who was to blame, how it happened, and what happened to you. Our job will be to listen to what you have to say and what you want to tell us. After this conversation a meeting will be scheduled if we believe we can help you. If not we will advise you to see another professional who can be of help. Will You Guarantee That my Case Will be won? It is unethical for a lawyer to guarantee success. Any lawyer who does should be doubted merely for making such a claim. We will, however, give you a realistic estimation of the strength and weaknesses of your case. We will be candid about what we think can be accomplished by us for you. The promises we make will be kept. Your case will be handled in keeping with the highest ethical and moral standards. Our representation will be aggressive and highly skilled. Will my Case be Settled or Tried Before a Jury? We prepare all cases to go to trial. Trial preparation is thorough and painstaking. Most cases settle before trial. Being prepared helps bring about good settlements. We will make recommendations to you concerning settlement. The final decision about settlement is up to the client. If a satisfactory settlement is not reached we will try your case before a jury or judge as provided by law. Am I Obligated if I Call or E-Mail to Discuss my Case? All consultations are free. Fees are only charged if your case is accepted and a recovery of money damages is accomplished. If after discussing your case you decide not to pursue it or to do so with another law firm there is no obligation on your part. Of course, any information you have given us is protected by the attorney-client privilege and will not be disclosed to anyone without your permission.